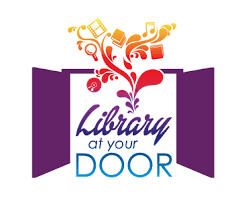 Library At Your Door is a free service for homebound patrons that provides books and other Library materials delivered by volunteers. People of any age who are temporarily or permanently unable to visit the Library in person. Upon registering in the program, you will specify particular authors, subjects and/or genres of books you would like to read. You may also indicate preferences as to music, DVDs, books on CD, magazines or any other Library materials of interest. When you would like to request items, simply call the Help Desk at 986-1047, ext. 3. You may request specific items, or ask us to select materials based on the preferences you have specified. The materials will be delivered in a Library pouch. When you have items ready to return to the Library, simply call the Circulation Desk at (845) 986-1047, ext. 2 to request a pick-up. Items lent through Library At Your Door do not accrue overdue fines. Please visit or call the Help Desk at (845) 986-1047, ext. 3.